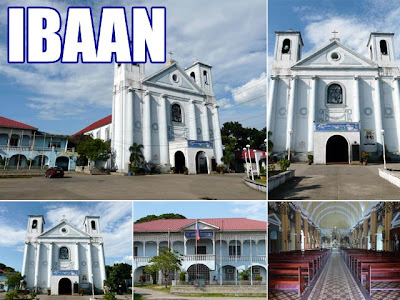 Batangas is a great place for visita iglesia and a heritage tour. I had the chance to visit many of the churches of Batangas when I drove from Calatagan, Batangas to Quezon Province. 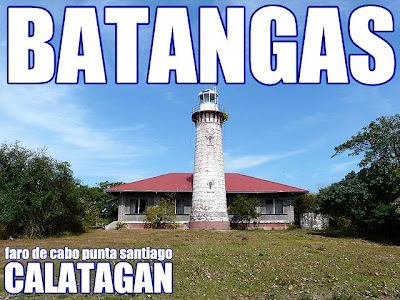 My starting point was the Cabo de Punta Santiago lighthouse in Calatagan which unfortunately, according to heritage advocates in Calatagan, lost a lot of its antique wood and bronze details while under the care of a local political family. I wonder if the items are now in their house. The facade has also been plastered with cement. The Philippine Coast Guard suspended its Adopt a Lighthouse Program because of the Calatagan incident since it realized that it made a mistake in the program policy by disregarding the heritage conservation aspect. Anyway, I'll update everyone on the developments. The Philippine Coast Guard is evaluating the situation. 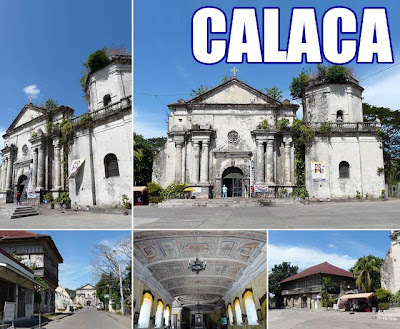 The first heritage church after Calatagan is the Balayan Church, a National Cultural Treasure. Although many other Batangas churches have better interiors, I think the NCCA has reasons for selecting this church. 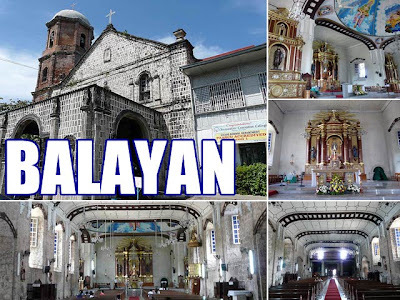 According to the NCCA, "It must be noted that by the 19th century, the seculars were already largely indio priests, hence, Balayan is one of a few examples of churches built under direction of the indio clergy. The interior has not changed much since the 1870s when a print showing the church interior was made, despite several superficial additions." This church also figured in the national spotlight when a McDonald's was built on its grounds some time in 2002, thus covering the view of part of the convent. It sparked a lot of protests from the heritage community and concerned townsfolk. 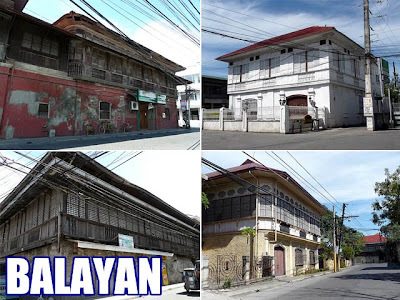 But there's no stopping Roman Catholic Church, Inc.
Balayan town itself has a lot of wonderful ancestral houses. I wonder why the National Historical Institute has not declared the town or at least its houses. It would have been nice if I had more time to appreciate the town, but I had to rush. Calaca Church, in the next town, is also worth a visit. Plus it also has a number of noteworthy bahay na bato or old stone houses. Nothing much left in Lemery. 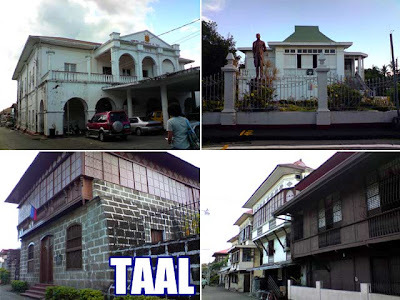 But its neighbor, the heritage town of Taal, a National Historical Landmark, is a treasure trove of heritage. 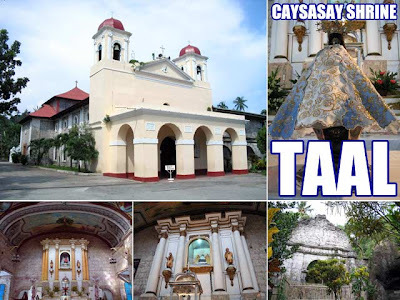 Check out the Taal Basilica, also a National Historical Landmark, and the Caysasay Church. Don't forget to visit the ruins of Sta. Lucia, an older church where a well, said to have miraculous waters, could be found. 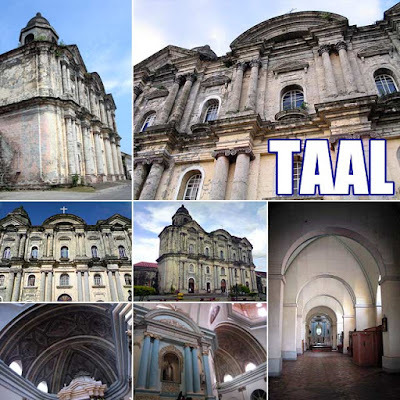 Taal actually has a good number of declared structures including the Leon Apacible Historical Landmark and Marcela Agoncillo Historical Landmark. If you do have time, make sure you explore the town to see its many ancestral houses. The town is also known for its barong cloth embroidery, especially the pina cloth. When I visit Taal, I always buy barong cloth. 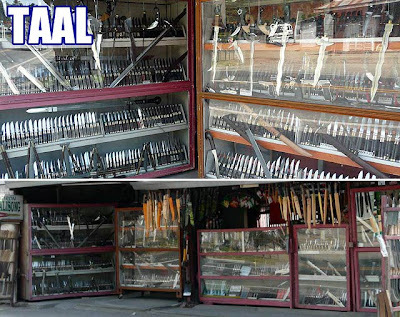 Along the National Highway, you'll pass by the many balisong knife shops which Batangas is very famous for. And keep your eye open for the Taal longganisa stalls as well. I remember seeing them at the junction to Sta. Teresita town. 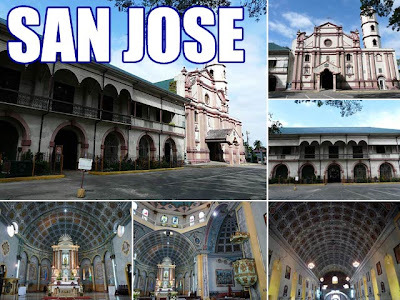 After Taal, there's San Jose Church, Ibaan Church and the Batangas Basilica. I got to pass by the San Jose Church which was on the way, as well as the Ibaan Church. But I skipped the Batangas Basilica to avoid traffic since I was rushing to Quezon. 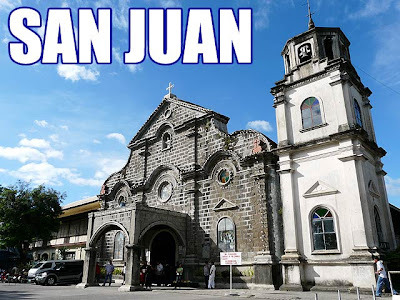 At the end of the road, before you reach the towns of Quezon, is the San Juan Church. 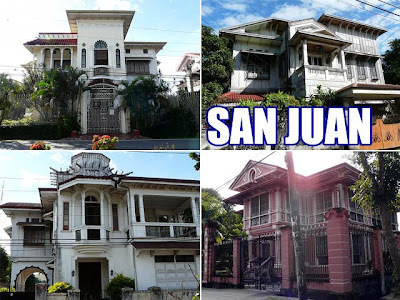 Just like in Balayan and Taal, the old houses in San Juan are also superb, many built during the early American colonial period when Art Deco was in fashion. But San Juan is out of the way if you plan to go back to Manila. So unless you have a lot of time to spare, you might have to skip San Juan and visit the Lipa Cathedral and Carmel Church in Lipa instead. But if you are on the way to Quezon, it's definitely a must stop. The churches of Quezon is another story. thank you for passing by our town - calaca. pag may nagtatanong kung taga-saan kami it is always followed by "saan yun" we always have to say that our town is between Balayan and Lemery which is more kilala than our sleepy little town. Ahhhhh. Visita Iglesia. Have a good one bro. Last year we did ours all over Laguna. This year it's Pampanga. It will be a difficult fast. I'll have a Pampanga post soon. Thanks brod! The Philippine Coast Guard decided to let all the Spanish Lighthouses be up for adoption by establishing the Adopt-a-Lighthouse program during the early 1990's.because obviously as a government institution they dont have the funds to restore and maintain such huge heritage structures.Former Batangas Governor Tony Leviste immediately entered into an agreement with the PCG in 1995 to adopt the Cape Santiago lighthouse in Calatagan built in 1890 for the purpose of converting it into a resort. Since then he started renovating the lighthouse without consulting the proper authorities like the NHI or the NM. Though Cape Santiago is not yet declared as a historical site or cultural property as of the meantime though we are now working on it but Leviste should have respected the antiquity of the structure being an educated man.Instead he replaced the entire roof with a modern one including the facade where the tower is located by putting concrete cement destroying the old wall and the old Philippine hardwoods that accompanied its design.Many old timers in the town including Architect Noche himself belive that the lighthouse lost its value.The antique iron-cast bronzes that supports the roof in the ceiling were gone after the Leviste renovation including the old floorings and tiles. I dont know as to how much extent is the destruction.I already forgot the details of the design since i was a kid when i use to play around the lighthouse but to tell you there's really an alteration.It looks pretty much different now compared before..Architect Noche told me he can make a detailed assessment for he has a complete blue print of the original. We are waiting for the NHI and NM assessment as well.The desecration happened sometime in the the late 90's because the reclamation of the beachfront happened exactly in the year 2000 after the renovation. Leviste covered around 1.8 hectares of seafront without the necessary DENR permit destroying coral reefs and sandbars in the area.Some people said that the funds used by Leviste to desecrate the lighthouse and its surroundings came from Loren Legarda's pork barrel. Remember Loren became senator in 1998 and they were still together during that time.14 years have passed after the signing of his MOA with the PCG and nothing have happened.No resort was built.They just left it like that exposed to the elements almost in ruins especially the two small rooms outside of the mainhouse and the renovation looks awful.Its closed to the public. hi there i came across your site, looking for directions where to buy barong cloth in taal. do you mind giving me directions? where in taal can i buy them? when i passed by last weekend, all i saw were couture shops. got too intimidated to ask. i was hoping to see like an arcade full of barong/pina cloths. you may email me at cel_hernandez@hotmail.com. hoping for your reply. thanks! It's in the public market. Just ask around for the market.